2015 was a pretty fantastic year for our scribing team. And as it drew to a close (no pun intended) we looked back proudly over an archive hundreds of successful jobs, and thousands of miles of ink committed to walls all over the world. So many pieces of scribing have made us punch the air with delight when we’ve unfurled them back at our studio. 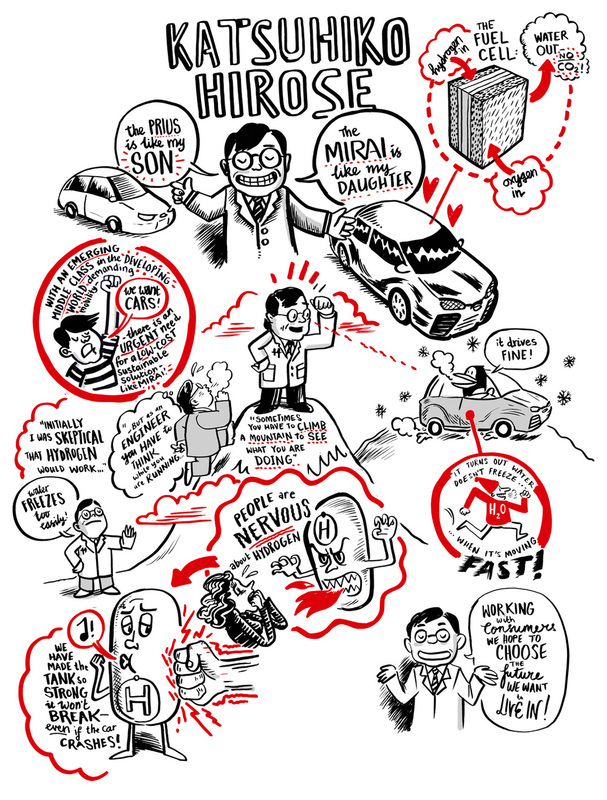 But perhaps none more so than Jack Brougham and Jess Milton’s work for Toyota at the 2015 Geneva Motor Show, which does a beautiful job of summing up all that we hope to deliver to our live scribing clients. Stylish, creative, and rich in the content that matters, it provided a crowd-pulling point of focus for Toyota’s stand, where the new Mirai – a state-of-the-art, zero-emissions car with hydrogen fuel-cell technology – and the double-championship winning TS040 HYBRID endurance racer were on display. 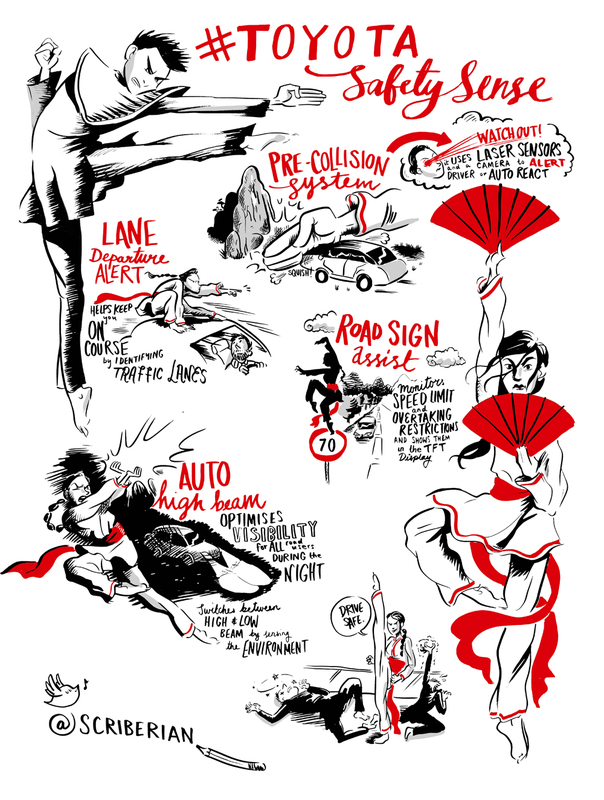 Taking their inspiration from the cars themselves, as well as from the spectacular martial arts displays that were also part of Toyota’s presentation, Jess and Jack leveraged all of their skill as artists to elevate Toyota’s message on the spot. And that’s why we recently awarded it the prestigious title of Scriberia’s “Job of the Year” 2015.